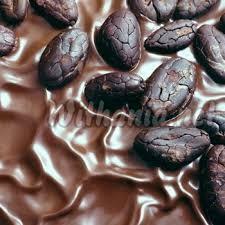 Our Cacao Beans are processed under hygienic conditions using the latest technology. Chocolate lovers rejoice when the benefits of antioxidants found in chocolate are talked about, but it’s important to realize that not all chocolate is created equal, not even close. The potential health benefits of processed, highly sweetened chocolate are slim to none, but the health benefits of dark chocolate are numerous and quite impressive. The cocoa butter found in dark chocolate contains equal amounts of oleic acid (a heart-healthy monounsaturated fat also found in olive oil), stearic and palmitic acids. It’s true that stearic and palmitic acids are forms of saturated fat, but research shows that stearic acid appears to have a neutral effect on cholesterol, which means it doesn’t raise it or lower it.